In response to requests for photos of Florida wildlife. Near the parking lot in front of the apartment. Tiny fellow, on the outside of a screen, as seen through vertical blinds.. Posting this gallery, Blizzard of 2016 snow photos, before the snow melts. HOW DEEP CAN SNOW GET IN MARYLAND? HOW DEEP? SIDE DOOR, 10 P.M. SATURDAY NIGHT. CORVETTES, YOU CAN SEE A FEW INCHES OF THEIR ROOFS ABOVE THE SNOW DRIFTS. CORVETTES COMPLETELY BURIED UNDER SNOW DRIFTS. MY CAR. NOT. GOING. ANYWHERE. FAST. But that was Sunday. Receding into history. TOO MUCH SNOW TO DRIVE IN. MULTIPLE SNOW DRIFTS ON MONDAY. EVEN JEEPS GET COVERED WITH SNOW. 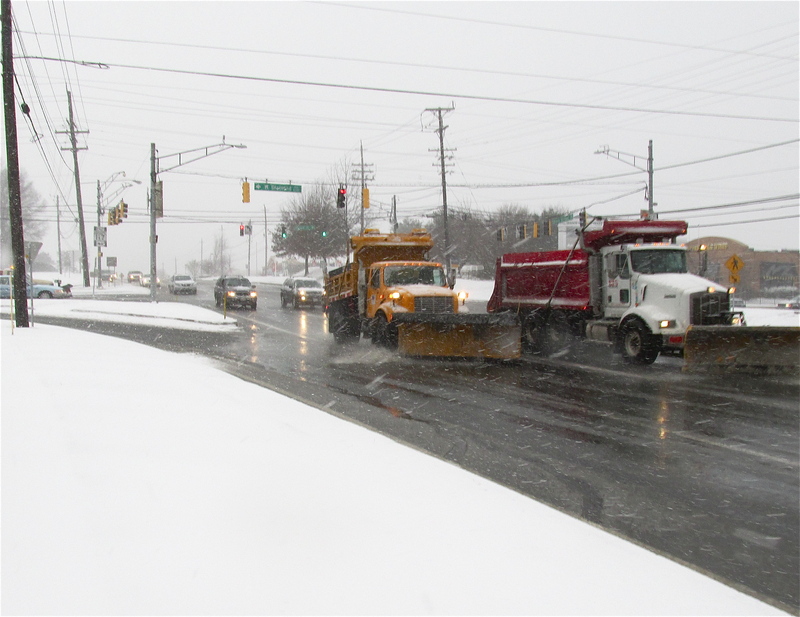 SNOWPLOWS CLEARED MANY MAIN ROADS BY MONDAY. THIS IS THE LAST PHOTO OF SNOWZILLA 2016. 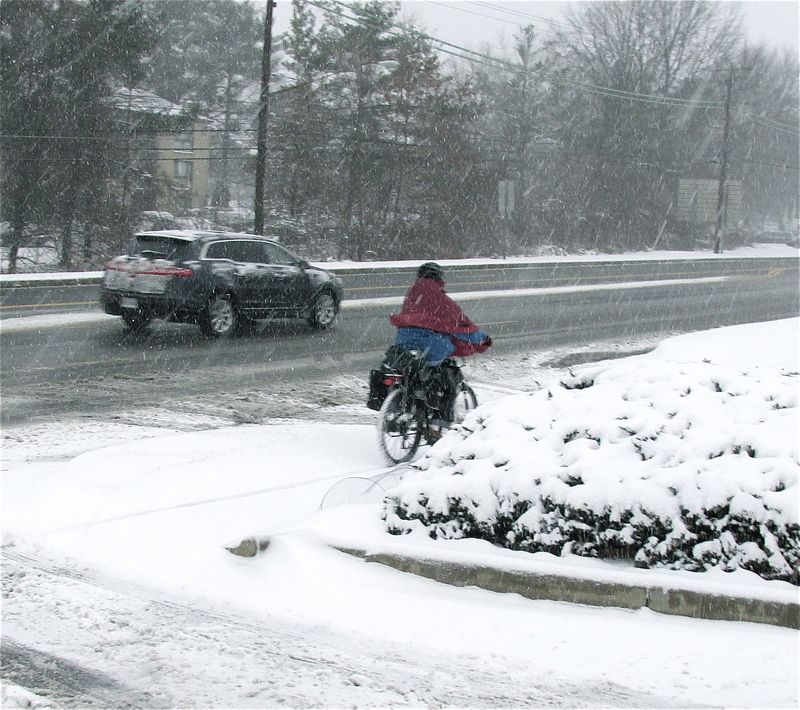 Snowzilla in Gaithersburg, MD, January 2016. I estimate we received 35 inches of snow, with drifts deep enough to bury a Corvette. All photos by Bernard John Hayden. Please do not reproduce without giving credit to the photographer and/or the blog. Thanks! Stay warm. The Blizzard of 2016, dubbed Snowzilla, as seen from my front door Saturday afternoon. LOOKING STRAIGHT AHEAD FROM THE FRONT DOOR. SOMEONE TRIED TO SHOVEL A PATH EARLIER, BUT DRIFTING SNOW HAS MOSTLY FILLED IT IN. SNOW DRIFTS AT THE SIDE OF CARS. SNOW BUMPER-HIGH, EVEN ON AN SUV. SOME SMALLER CARS HAVE SNOW DRIFTED UP OVER THE HOOD. THERE’S A SIDEWALK BEHIND THAT LINE OF CARS, BURIED SOMEWHERE UNDER THE SNOW. IN THE LEFT CORNER, WIND CREATED A POINTY CAP ON TOP OF A FLAT TRASH CAN. THIS PHOTO WAS TAKEN FROM A KNEELING POSITION, THE CAMERA ABOUT 3 FEET HIGH. IT’S THE PILE OF SNOW TO THE RIGHT OF THE ENTRANCE. SOME OF IT IS SNOW SHOVELED FROM IN FRONT OF THE DOOR, WITH DRIFTING ON TOP. Photos in Gaithersburg, MD, Saturday, Jan. 23, 2:30 p.m. All photos by Bernard John Hayden. Permission granted to reproduce, with credit to the photographer and/or blog. The Donald’s Hair. Is It A Wig Or Is It Real? Wish I knew who to credit for this photo. It’s worth a thousand words. 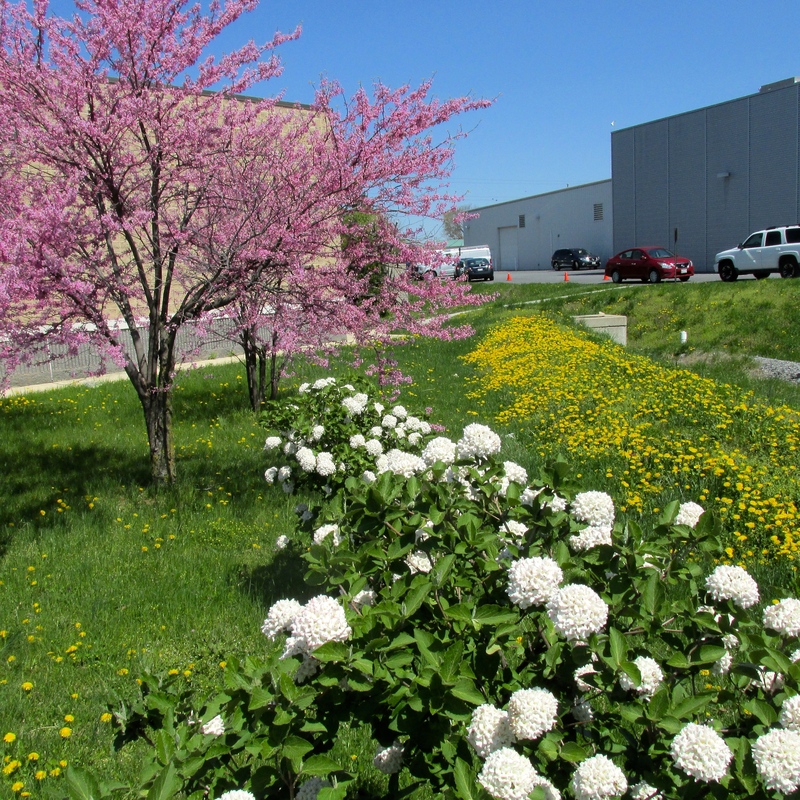 Someplace in Frederick, MD, 04-24-15. Someplace in Gaithersburg, MD, 04-24-15. 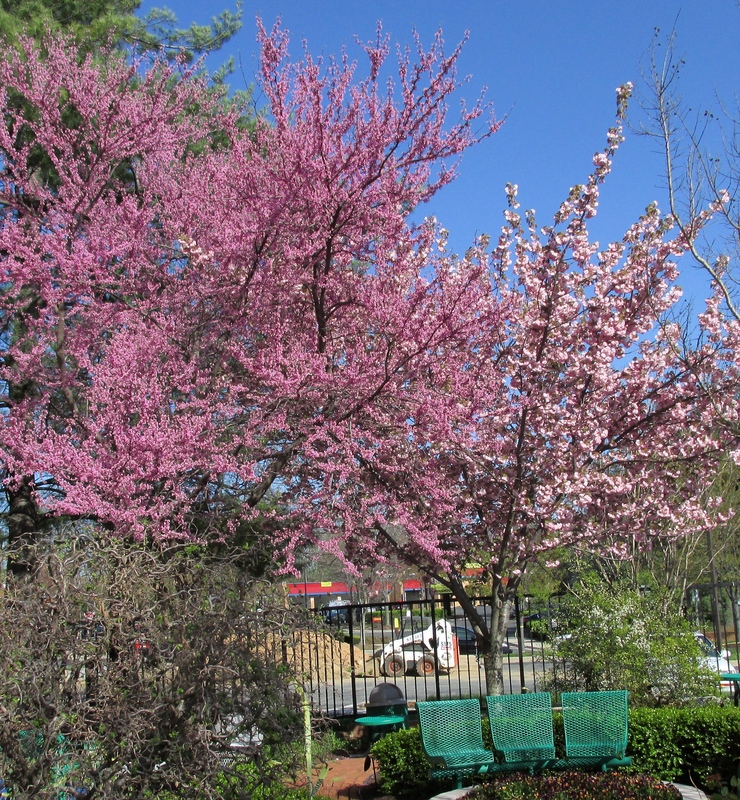 Rave about your Fall foliage, but I’ll take the many colors of blossoming trees in Spring. No elaboration required. Lori shared this link with me yesterday from Kitchentreaty.com. Next to more pasta, that’s all I’ve been able to think about for the last 24 hours. It’s Sea Salt & Honey Ice Cream. THERE’S NO ICE CREAM MACHINE NEEDED. A hearty thank you to my blogger friends for baiting the circus monkey. For recipe and more amazing pictures, hit this link at Kitchentreaty.com. 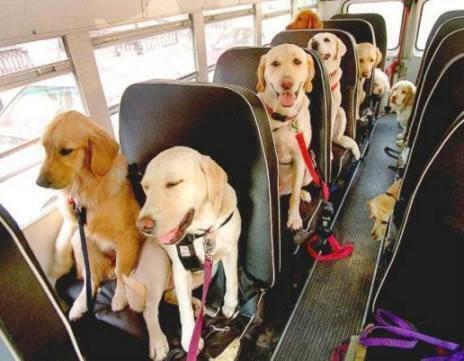 Golden Retrievers on the bus, via Planet Ivy. Are we there yet? — Also Rev. Guengerich. Both quotes from an essay in todays Washington Post, page B2. Light traffic, late afternoon of Winter Storm Janus. One car and one bicycle. And snowplows, lots of snowplows. SNOW — DO YOU REALLY WANT TO DRIVE IN WEATHER LIKE THIS?